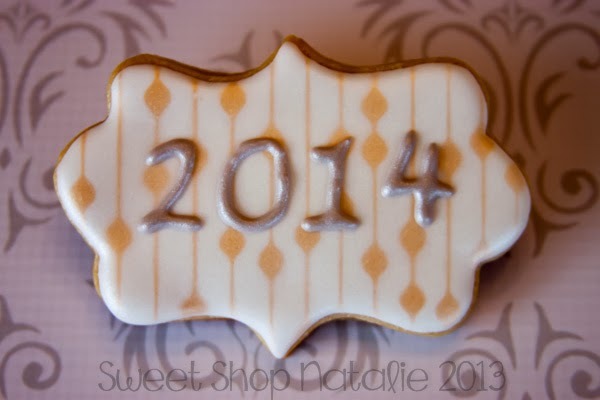 2013 Has been a busy cookie year for me. It may not seem much for other cookiers out there but I am taking it slow. This hobby has turned into a small little side business and I finally got all my home cottage and city licensing taken care of. I just want to thank all of you that look at my blog and Facebook page. It humbles me to think someone would look at my work and like it. And thank you to my cookie clients, I am so grateful for your patronage!! 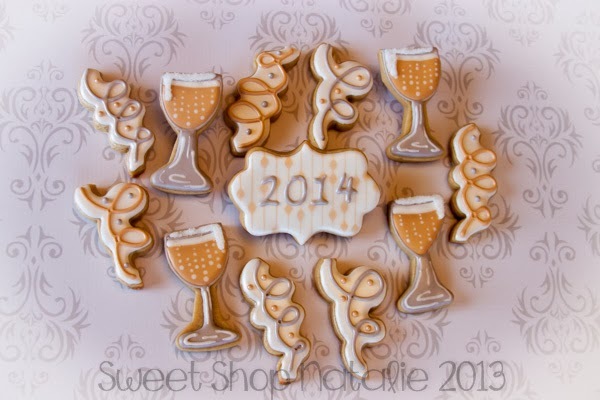 I saw SweetAmbs champagne glass cookie tutorial and I thought they were so dang cute that I thought I would try them out. 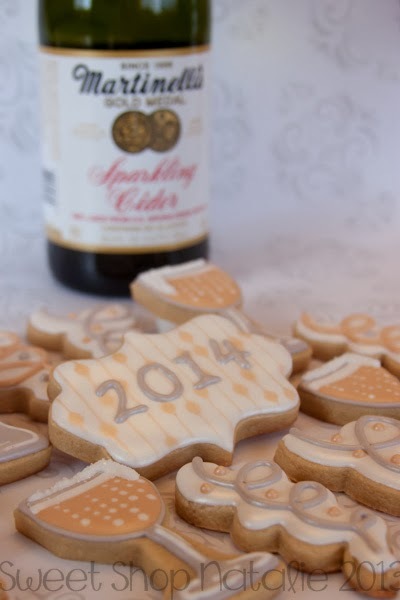 And then I added some cute confetti cookies to celebrate. I won these cute cutter from Sweet Hope Cookies and they are cutters that can be purchased from Cristin's Cookies etsy shop. I thought this picture was funny. I know I did champagne glasses but I don't drink and so I don't have bottles of champagne but I had a bottle of sparkling cider so I thought I would throw it into the shot. 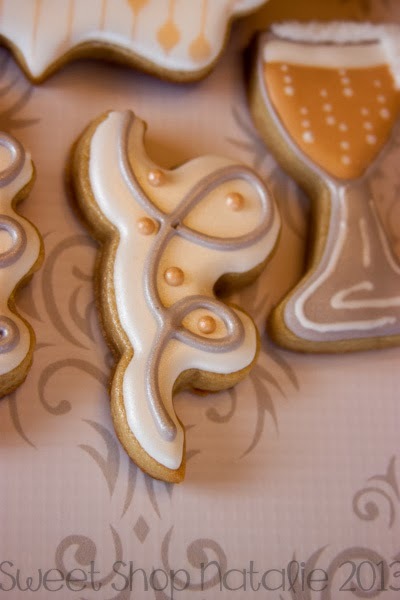 To get the shimmer on these cookies I just airbrushed them with pearl sheen. 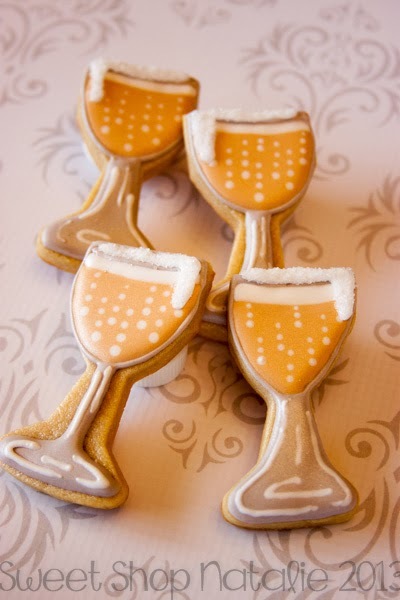 Very cute and pretty cookies!